Congressional leaders upped their HHS appropriation to combat the opioid epidemic by more than $2.5 billion in their two-year mega-spending agreement finalized Wednesday, including an additional $1 billion for state grants. Including law enforcement and other funding, Congress has appropriated a grand total of $4.65 billion for dealing with the opioid crisis. But the funding comes as lawmakers grapple with the effectiveness of existing money. The latest infusion of cash for states will build on the remaining $500 million in state grants appropriated through 21st Century Cures. These grants will dry up in April 2019. Of the new $1 billion, $50 million is designated for Indian tribes and tribal organizations, and 15% will go to states with the highest mortality rates related to opioid-use disorders. Early Wednesday, congressional leaders finished hammering out the appropriations deal that incorporates this funding, House lawmakers on the Energy and Commerce Committee pressed officials from the Substance Abuse and Mental Health Services Administration and the Centers for Disease Control and Prevention on whether the existing funds have gone where they need to go. "Do we need more money now?" Rep. Diana DeGette (D-Colo.) asked SAMHSA's Christopher Jones, director of the National Mental Health and Substance Use Policy Lab. Jones defended the funding increase SAMHSA has planned for in its 2019 budget, but acknowledged the agency has had challenges in both disbursing the money and state reporting. Energy and Commerce health subcommittee Chair Rep. Michael Burgess (R-Texas) also pressed Jones on whether the existing grants to states are going where they're supposed to go. Jones dodged the question, noting that once the state has the money there are "variations on how the states go through their process to contract with providers." SAMHSA has disbursed $485 million in grants from the 21st Century Cures funding to states and territories to stem the public health crisis, but there is little data and reporting on how effective that money has been. Mental health and substance abuse disorder advocates have said two-year grants limit the systemic changes states and providers can plan. State officials agree. In Missouri, their funding has gone to a pilot program focused on urban hospital emergency departments where physicians give out three-to-five day medication treatments and then refer program participants to peer support recovery groups. But Missouri's share of the state grant from 21st Century Cures, just over $10 million a year for two years, has focused on just 600 program participants. Yet the state has also seen one of the highest increases in opioid overdose deaths according to the CDC. In 2016, CDC reported 1,371 deaths by overdose in Missouri. As lawmakers grapple with the scale of treatment the federal funding has allowed, some are trying to think bigger. Rep. Cathy Castor (D-Fla.) said the government must do something much bigger than current efforts to curb the epidemic, citing a statistic that 80% of addicts don't get treatment as today's health system doesn't engage substance use disorders like other diseases. "How would you design a system now?" Castor asked Jones. "What do we need to do for this paradigm shift?" But while Jones said SAMHSA staffers are also concerned over whether the $1 billion state grant funding is building an adequate response, he acknowledged that the system is fragmented. He homed in on the various models across the states and framed the grants as empowering those models to enhance the current system and stop the fragmentation. 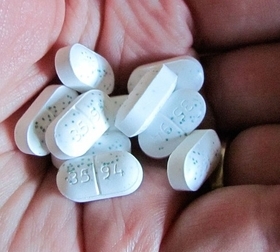 Rep. John Shimkus (R-Ill.) harped on the need for better data for prescription monitoring. While the CDC's Acting Director Anne Schuchat acknowledged the need for better inter-state, inter-operable data, she also said more resources are needed to speed and ease existing systems. The spending deal includes a new $350 million investment for surveillance and reporting of opioid prescriptions, as well as a national awareness and education campaign. In addition to the new state grants for the opioid epidemic, the omnibus also increases the appropriation for mental health programs to $1.5 billion, more than $300 above fiscal 2017. But one key provision that mental health advocates hoped would be included did not make it: an extension of the pilot program of the Excellence in Mental Health and Addiction Treatment Expansion Act. Instead, appropriators are funneling $100 million for new grants to certified community behavioral health centers that meet the standards established by the act. Other new investments include $415 million to expand addiction prevention and treatment and help with workforce training, focused on rural communities; a $185 million increase for opioid programs under SAMHSA and a $60 million increase for child abuse prevention and treatment programs to improve care of infants with neonatal abstinence syndrome — a condition that incurred $1.5 billion in hospital billing in 2012, according to the last comprehensive analysis by Journal of Perinatology.